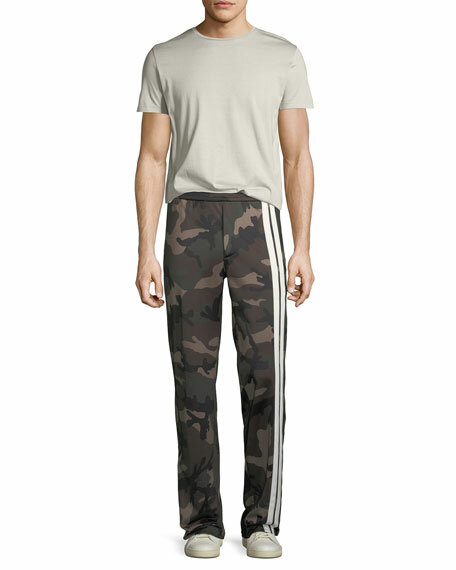 Valentino track pants in camouflage-print with contrast stripes. 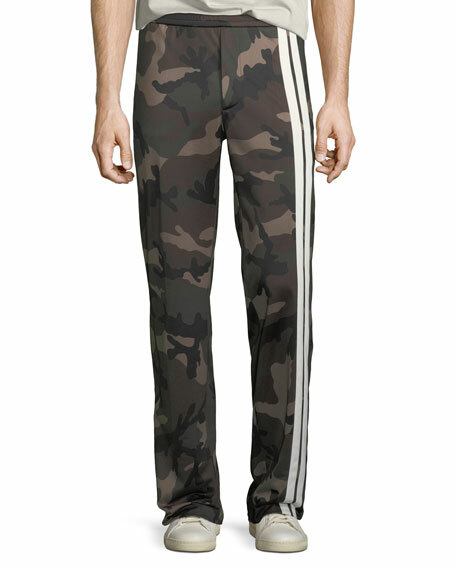 Adidas track pants with traditional three-stripe design and embroidered logo at thigh. Elastic waistband. Side slip pockets. Banded ankle cuffs. Adidas track pants with traditional three-stripe design and embroidered logo at thigh. Elastic waistband. Side slip pockets. Banded ankle cuffs. Pull-on style. Nylon. Imported. 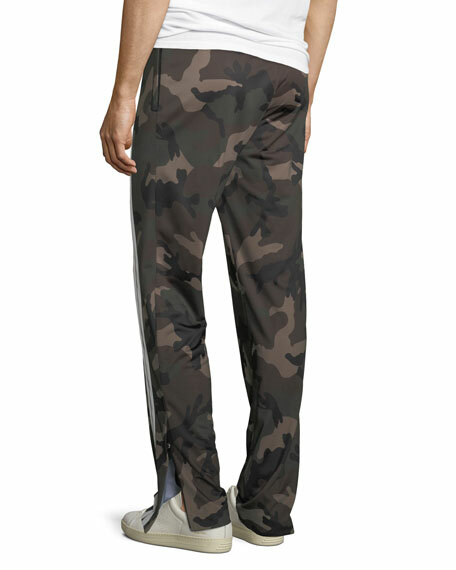 Adidas fleece track pants with traditional three-stripe design and embroidered logo at thigh. Elastic waistband. Side slip pockets. Relaxed, tapered legs. Gathered cuffs. Pull-on style. Cotton/recycled polyester. Imported. 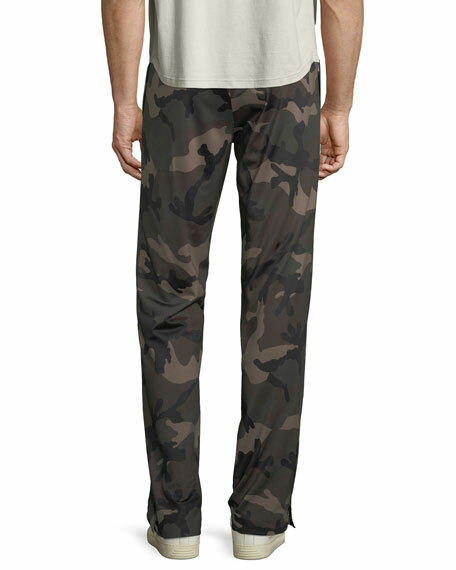 Adidas x Pharrell Williams track pants in graphic printed poplin. From the SOLARHU Collection, inspired by the raw spirit and style of East Africa. Contrast typography stripes down outseam. Pull-on style. Banded cuffs. Polyester; combo, recycled polyester. Imported. Michael Kors "Lookbook" track jacket with contrast stripe. Stand collar; zip front. Long sleeves. Side slip pockets. Relaxed fit. Straight hem. Spandex/polyester. Imported.